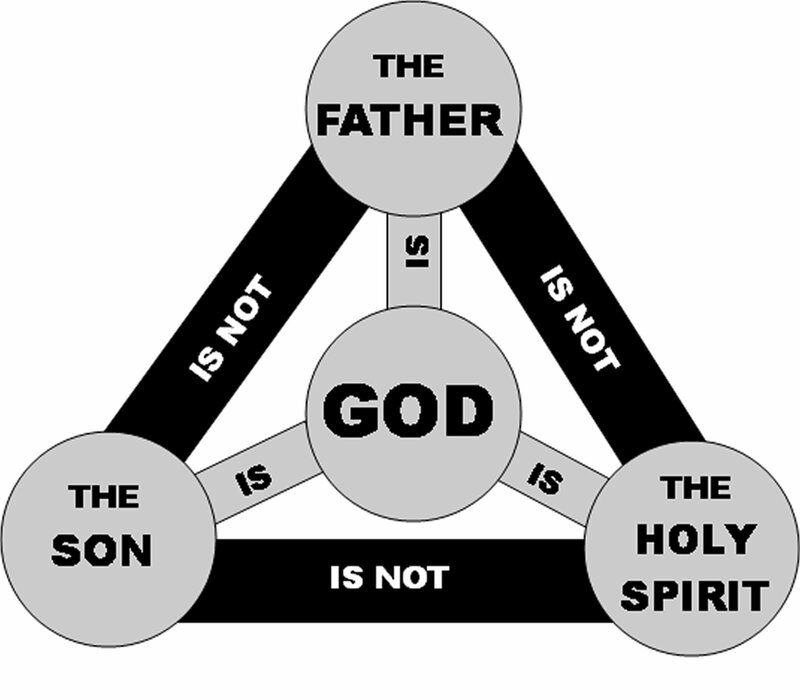 "Out of his fullness we have all received grace in place of grace already given. For the law was given through Moses; grace and truth came through Jesus Christ." wave before it in an endless flow of provision. It is beyond human comprehension and greater than our ability to manage. We can only receive the grace God has already decided to pour out on us. Spilos (Gr) - Spot (Eng) - literally refers to a spot or a stain. Metaphorically refers to a moral flaw. Do I recognize the difference between Law and Truth? Between Law and Grace? I will live my life and interact with others in truth and grace, not law. "A corrupt witness mocks at justice, and the mouth of the wicked gulps down evil. 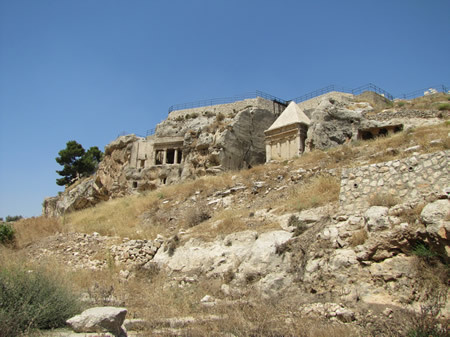 Penalties are prepared for mockers, and beatings for the backs of fools"
Looking up from the bottom of the Kidron Valley at 2,000 year old tombs cut into the west side of the Mount of Olives. 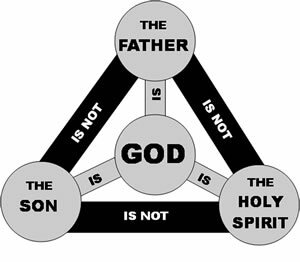 (click on image for larger size) Diagram attempting to capture and explain the Trinity.